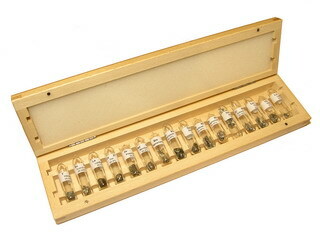 Discovered in 1880 by J.C. Galissard in Geneva, Switzerland, and isolated by P.E. Lecoq de Boisbaudran in 1886 in Paris, France. 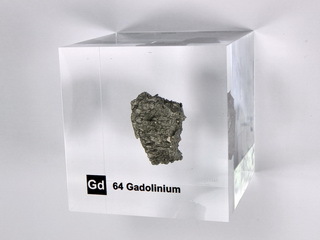 Gadolinium is a member of the lanthanide group of elements, and is obtained from the same sources as europium (its abundance in the Earth's crust is 7.7 ppm). 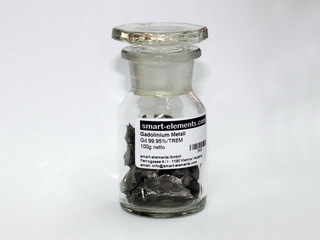 It is a silvery white metal which is ductile and malleable. 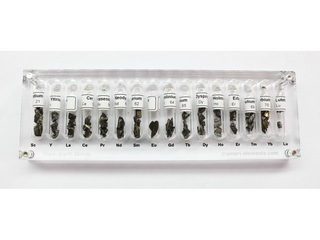 It is stable in a dry atmosphere but forms an oxide coating when exposed to moist air. It reacts slowly with water and is soluble in acids. 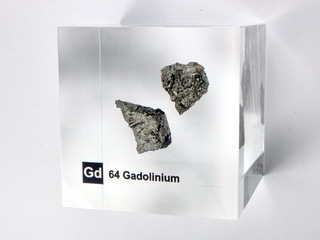 Gadolinium has limited uses as a pure metal, but when alloyed with chromium, iron or similar metals, the resulting alloys have improved workability and corrosion resistance. 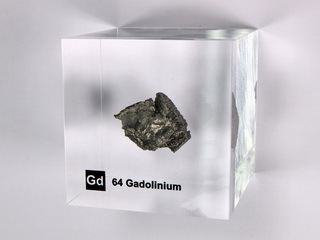 Due to its magnetic properties, gadolinium is used in the manufacture of magnets, recording heads and electrical components. 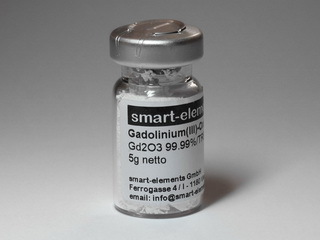 Magnetic Gadolinium glass bead NEW! 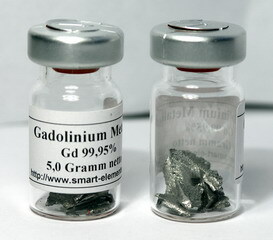 100g Gadolinium metal pieces 99,95% under argon!